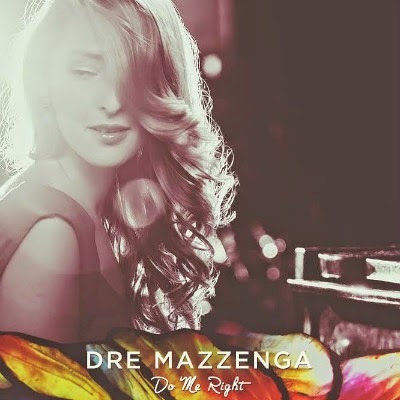 Originally from New York and now based in Austin, Texas, Dre Mazzenga proves herself to be a striking and sophisticated new talent with her current five-track EP, Do Me Right. In fact the singer/songwriter sounds like her adolescence was often spent within earshot of a rich and varied record collection — these days Mazzenga is actually a vintage-vinyl collector — as she reflects such eclectic influences as Carole King, Donny Hathaway, and Laura Nyro. She seems most comfortable with classic R&B and soul, an assessment best illustrated here by a fun, faithful cover of the 1968 Barbara Acklin classic, “Love Makes a Woman.” With each of the four original songs that round out this set as well, Mazzenga sings with a refreshing amount of polish and promise, none more so than on the mournful piano ballad, “Bird in the Storm,” which is as breathtakingly tender as it is emotionally adult.